Where were you on November 6, 2012? Well if you were in London, interested in watches and you could get there, you were probably squashed into the standing-room only Sotheby’s sale room for the auction of the late George Daniels’ collection. There seemed to have been a general consensus that pre-sale estimates were perhaps a tad on the low side, but the total of £8,285,139/ €10,343,972 / $13,249,594 (pre-sale estimate of £3,806,390- £5,768,800) has still left people astonished. Melbourne watch friend @mrgrumio did the numbers, and they show that nine lots sold in range and that on average (there were a couple of aberrations that affected the average) lots sold at just under 2.5 times the upper end of the estimate. All of the nine watches made by George Daniels naturally sold above their estimates, with the star of the sale his Space Traveller’s Watch (above), which sold for £1,329,250. This is now a new record for Daniels at auction, a record for an English watch, and a record for an independent watchmaker at auction. The second highest price realised was for lot 130, a small silver-mounted ebony Roman striking table clock by Joseph Knibb (c.1685), which sold for £1,273,250 against a pre-sale estimate of £600,000 – 900,000 (below). Lot 9 – George Daniels, Space Travellers’ Watch doubled its pre-sale estimate (£400,000 – £600,000) with a hammer price of £1,329,250 / €1,659,565 / $2,125,737. 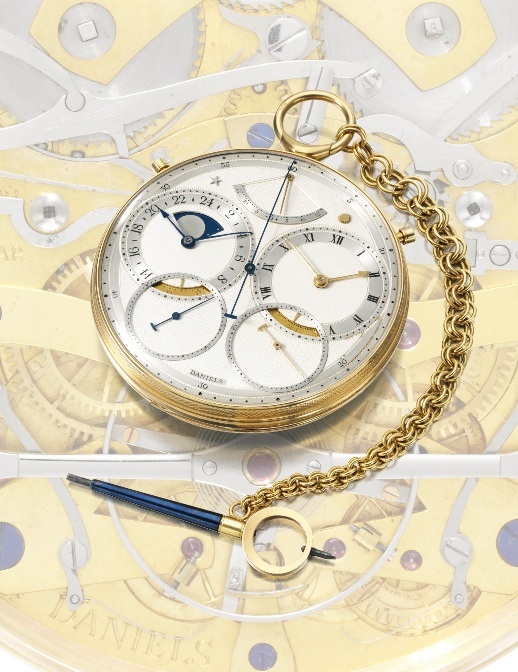 Lot 10- George Daniels, The Grand Complication Watch sold for £914,850 / €1,142,188 / $1,463,028. Pre-sale estimate £500,000 – £800,000. Lot 11 – George Daniels, The Co-Axial Chronograph sold for £657,250 / €820,575 / $1,051,074. Pre-sale estimate £300,000 – £500,000. Lot 13 – George Daniels, The Co-Axial Chronograph Wristwatch had a pre-sale estimate (£150,000 – £250,000) and sold for £385,250 / €480,984 / $616,092 . Lot 12 – George Daniels, 18k Yellow Gold Open-Faced One-Minute Spring Detent Chronometer Tourbillon Watch, 1970 went for £349,250 / €436,038 / $558,521. Pre-sale estimate £150,000 – £250,000. Lot 130 – Joseph Knibb, A Small Silver-Mounted Ebony Roman Striking Table Clock, London, Dated 1677 sold for £1,273,250 / €1,589,649 / $2,036,181. Pre-sale estimate £600,000 – 900,000. Lot 136 – Joseph Knibb, An Ebony Double Six Hour Grande Sonnerie Table Clock, London, Circa 1685 sold for £337,250 / €421,056 / $539,330. Pre-sale estimate £200,000 – 300,000. Lot 105 – Pennington, Pendleton & Others, A Rare and Important One Day Marine Chronometer, No.24, London, Dated 1796 sold for £301,250 / €376,110 / $481,759. Pre-sale estimate of £60,000 – £80,000. 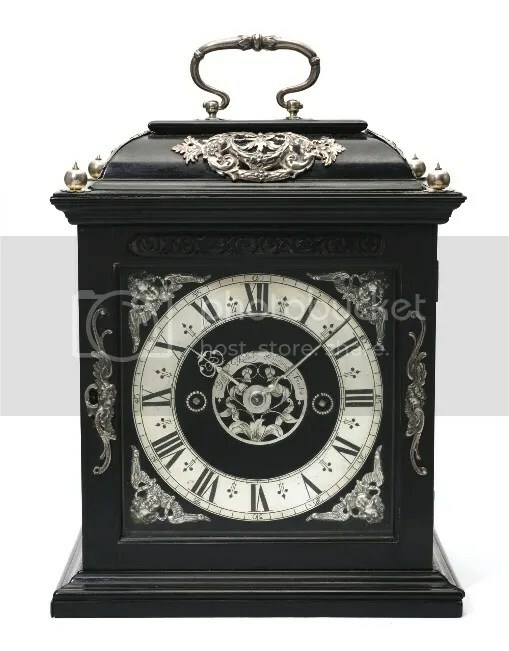 Lot 137 – Thomas Tompion, Ebony Quarter Repeating Table Clock, No. 287, London, Circa 1697 sold for £301,250 / €376,110 / $481,759. Pre-sale estimate £150,000 – 200,000. 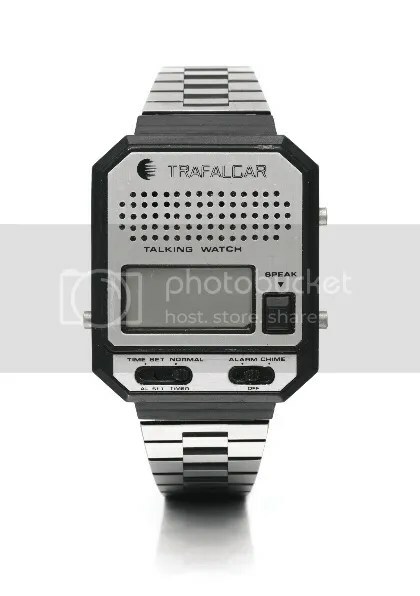 Two watch lots that I was keeping an eye on were lot 30, a calibre 112 1970 Breitling Chronomatic estimated at a ridiculously low £150-200, and Lot 33, a quartz Trafalgar talking watch from 1983, which had an estimate of £80-120, the lowest estimate in the auction. The Breitling had a realised price of £3,000 and the talking watch, a mindboggling £813 (including buyer’s premium). The Trafalgar also has the distinction of being, not unexpectedly, the lot with the lowest amount fetched. The other lots in which I had a particular interest were lots 57, 58 and 59, three copies of George Daniels’ ‘The Art of Breguet’ which were privately bound for him by renowned bindery Zaehnsdorf, and numbers 13, 14 and 21 of 21 respectively. They were each estimated at £800-1,200 and realised £3,250, £3,750 and £8,750 respectively. The first and last in a series are always more popular, aren’t they? As an aside, the firm merged with Sangorski & Sutcliffe in 1988, and you can read more about Sangorski & Sutcliffe here. 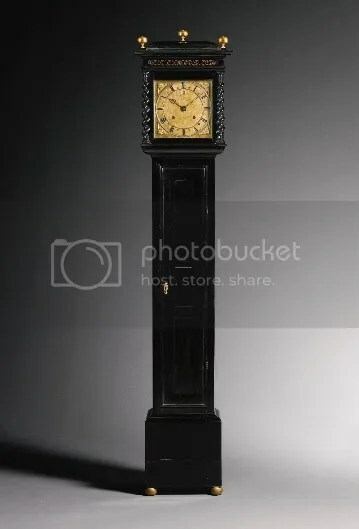 Despite the extraordinary level of interest, one lot remained unsold at the end of the auction – lot 131 : an ebony month going Roman striking longcase clock (c.1685) by Joseph Knibb. Estimate: £200,000 – 300,000. Does anyone wish to give it a good home? All of the proceeds from the auction will benefit the George Daniels Educational Trust, which I have previously written about here. Ehmm…second highest result was for lot 130, not lot 136. Oops. Thanks for picking up the typo (at least the link was okay)! Now corrected. 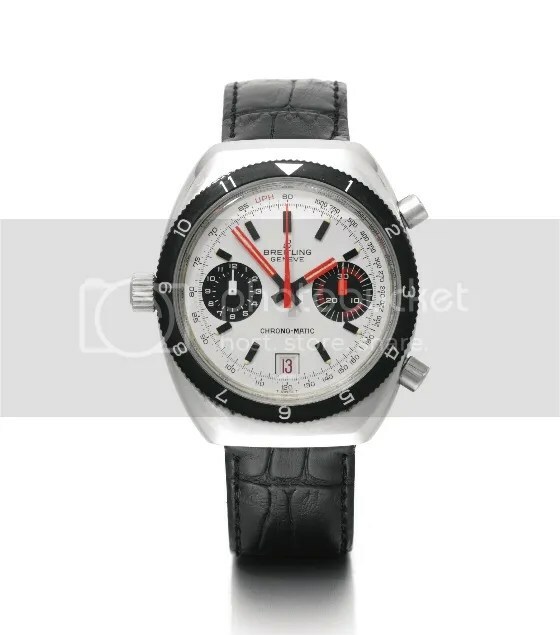 Great post…..that Breitling Chronomat is yummy ! It’s a great looking Breitling for sure! As understatement goes, that’s like saying “the sea is wet”! On the flip side, suddenly the Smith/Daniels makes a whole lot of sense at GBP 142K. Uhhhhh, did those words just escape the keyboard?? ?